Point to an image below to see a larger version. 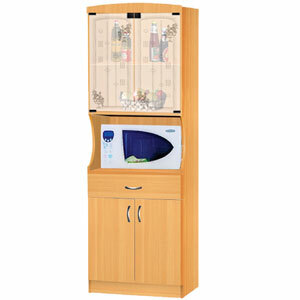 Sundries Microwave Cabinet. This Cabinet Features Three Shelves, Glass Doors On The Top Two Shelves, And Two Door Storage. It Is Available In Beech Finish, Cherry Finish and Red Mahogany Finish. Easy To Assemble. Dimensions: 27.5 In.(W). X 17 In.(D). X 72 In. (H).